There has been much talk about Canada’s housing market over the past several months as Chinese money-laundering operations have sprouted bubbles everywhere. But, as noted in the Globe and Mail, there could be a perfect storm brewing in several Canadian housing markets as a result of pricing bubbles, over-indebted consumers, tightening mortgage rules and the prospect of rising rates. On the regulatory front, Canada’s Office of the Superintendent of Financial Institutions (OSFI), is considering new rules that would require lenders to effectively stress-test borrowers to confirm they would be in compliance with credit metrics even if rates were to rise 200 bps. This would immediately remove roughly 20% of the average Canadian’s home-buying power. Of course, with mortgage rates at multi-decade lows, they only have one direction to go. Moreover, as rates rise, it will serve to amplify the effects of the proposed OSFI regulations noted above. If you believe the Bank of Canada’s hints and bond market probabilities, there’s a real chance we’ll see higher floating rates as soon as next week’s rate meeting, or at its meeting in September. As for fixed mortgage rates, they’ve already shot up on the back of a 50-basis-point surge in bond yields since June 6. RBC, Canada’s de facto leader in setting mortgage rates, hiked most of its advertised fixed rates by 20 basis points last Thursday. Most other lenders have done the same, and it may be only the first of multiple moves. 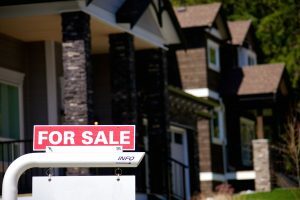 All of which leads the Globe & Mail to ask ‘what should Canadian consumers do now?’ The US had a similar housing bubble issue a few years ago, and this article offers a view of what Canadians should do next.